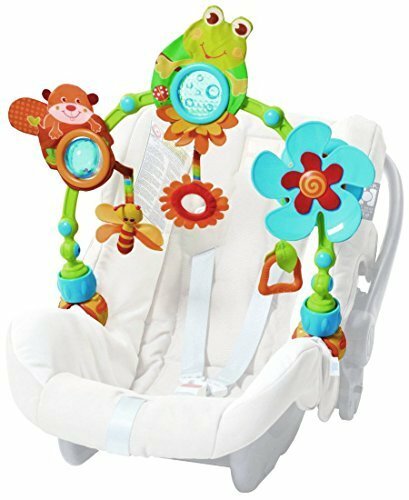 The Tiny Love Take-Along Arch, My Nature Pals Stroll version, promises to provide entertainment and education for children from 0 to over 5 month old. It incorporates both sensory and cause and effect toys to aid in this promise. The arch can be adjusted to any number of different angles for the baby’s reach. Additionally, the clips are universal so the arch can be used on any item. The toys on this particular model of play arch include a crinkle frog, a spinning flower, a mirror, and a teething toy that the baby can pull down toward themselves. Each toy is brightly colored and can be either a visual stimulus or acted upon and become active. Overall, the toy promises to keep children entertained for long periods of time as well as provide fodder for the child’s developing brain. The Tiny Love Take-Along Arch, My Nature Pals Stroll version has everything necessary for a good play arch for young children. It does, however, have some drawbacks, especially for more active children. While the plastic is BPA free, the construction is a bit on the flimsy side. In addition, if a baby is especially active, they can easily pull the whole arch down on top of themselves. This can lead to some serious choking hazards. For a less active child, the Take-Along Arch can provide lots of entertainment and allow them to learn to act on their environments. The crinkly frog of the My Nature Pals Stroll version provides auditory learning while the other items are visually stimulating for developing children. If the toy is appealing to your child, another added bonus is the universal clips. As they are not brand specific, the arch can be used on any product provided it can reach both sides. There are a number of baby aches available to attach to specific brands of strollers, etc., but one good universal alternative is the Taf Toys Musical Arch. As with the Tiny Love Take-Along Arch, the Musical Arch also has universal clips. One major difference with the Musical Arch, though, is that its sounds comes through battery powered musical items on the arch. Unlike the spinning flower on the Take-Along Arch, the music is activated by touch which avoids the dangerous pull-cord. Another possible alternative to the Take-Along Arch is the Playgro Travel Play Arch. Although this arch does not have as many different elements included, you can purchase different items to attach to the arch skeleton. This makes it a more versatile toy. Another bonus is that the Travel Play Arch’s clips are more sturdy, which beats either alternative. 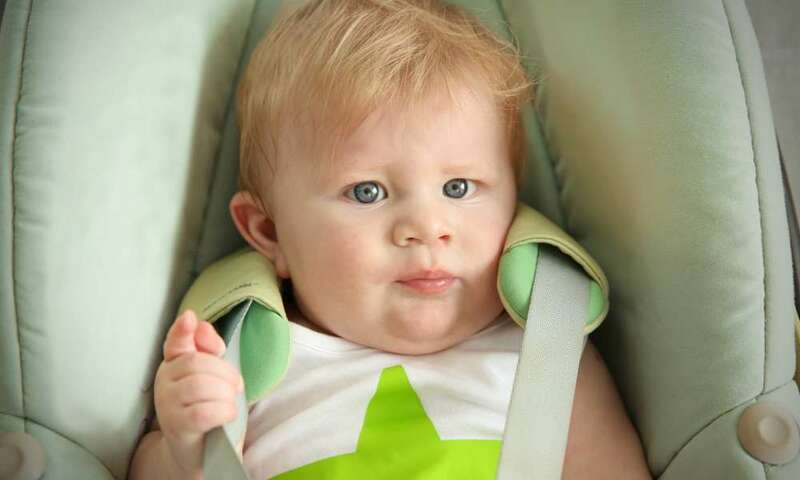 It does, however, have some struggles attaching to convertible car seats, unlike the other options. As far as price ranges go, the Tiny Love Take-Along Arch is probably the best value. It provides several types of stimulus while still maintaining a lower price tag than the alternatives. Overall, the Tiny Love Take-Along Arch provides a good source of entertainment for growing children. The different types of stimulus also helps children learn how to act upon their environment as they develop. Some of the drawbacks to this toy, however, could prove dangerous to smaller children. Both the pull-cord and pulling the whole arch down can lead to injury, so a baby should be monitored with the toy. Although it may not be the most resilient toy arch, the arch is a great option for keeping kids entertained in different situations. Its universal clips provide a major selling point and can be used on most items. Ultimately, the success of the toy owes largely to the child’s personal tastes and interest level. The Tiny Love Take-Along Arch itself, though, can provide a good frame work for development and fun.